Are you ready to wriggle, jump and dance? Come fly with the Eco Faeries as they adventure to the most magical place of all- nature! Join the Eco Faeries with their sensational high energy and educational shows. Action packed stage shows filled with original songs that will have children and grownups wriggling like willy wag tails. With silly faerie antics, catchy tunes and adorable faeries, you'll have a magical time and learn a thing or two too. We bring 'real' life faeries to your event. Eco Faeries love to get earthy slinging compost, making mud pies and dancing like everyones watching. The Eco Faerie marquee is an activity zone and education centre. 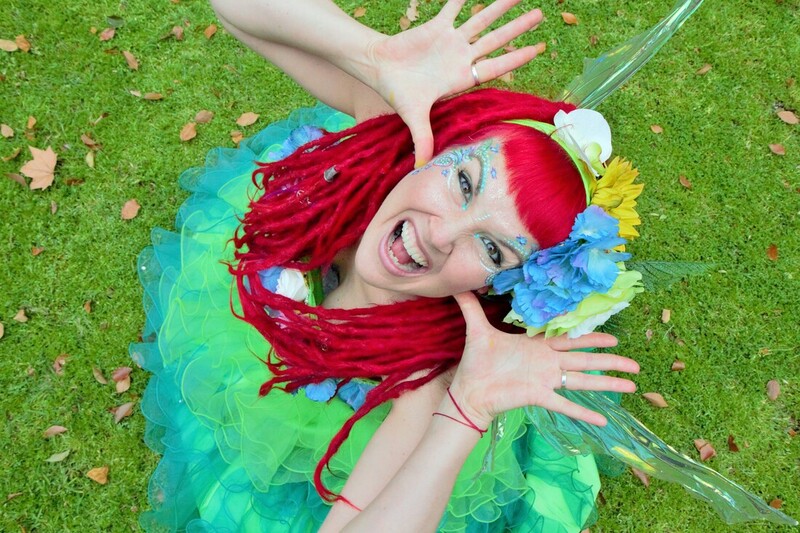 Jump, twirl and shake it out in the Eco Faerie Energiser Zone. Ideal for a bustling events that wants a buzz of activity. Providing activity spaces at events gives the public a chance to get creative, take home a treasure, learn something new and interact with the Eco Faerie performers. All activities are based around nature, recycling, growing and faerie magic. We provide all materials and helpers who are trained Eco Faeries filled with faerie stories and eco tips to share. Activities are provided within the Eco Faerie marquee or the event organiser can arrange a suitable location. We love new ideas, if you have a theme let us know and we'll make it happen. Would you like faeries to rove around your event AND do craft, well this is the option for you. Playful pixies with a stack of hoops for all ages and abilities. Our bright sparkling hoops are handmade using recycled piping. ​This activity zone is hoops of fun!! Traditional storytelling is our speciality. Faerie Cara researched faerie folklore in Ireland and was inspired to start a company that aligned closer to the roots of faeries history. ​No damsels in distress or glitter throwing. We share tales of adventure, that have meaning and give the listeners a chance to interact and be part of the tales as though they are the heroes. Bring your event to life with living gardens made from recycled props, enchanted ornaments and lush real plants. We have four mini gardens for children to enjoy. The faerie garden in a wheelbarrow, dinosaur world in an aquarium, mermaid world in a sandpit shell and a race track on a car tyre. You'll find magical nooks, tiny worlds and endless possibilities. These are display pieces but we encourage the children to play! You'll have faeries floating about to constantly 'reset' the gardens. We'll set up some sand tubs with tiny ornaments and plants for children to design a magical garden. This is a fun, hands on nature play activity. 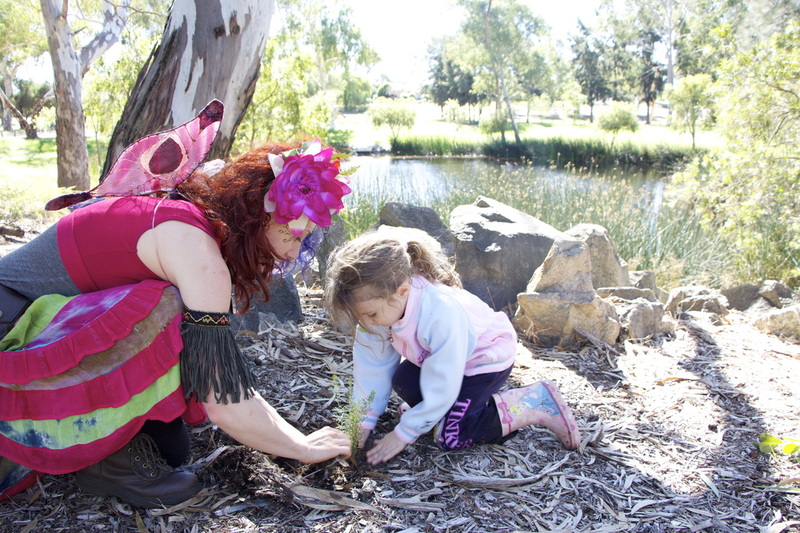 Eco Faerie Birthday parties combine traditional faerie party fun with just the right amount of nature loving goodness. ﻿An Eco Faerie will come to your party and provide all the entertainment, music, games, prizes, a faerie crystal and activity for each child.